Q: What do I need to do to join a League? Start a New Team - If you have enough to make a team and want to register an entire team, that's an option when clicking on Register under each League's About Page. Free Agent - If you don't have a team, registration for free agents is available during Registration Periods. Start a Small Group - Have some friends that you want to play with, but don't have enough for a team? No problem! You can click on the Option to Start a Small Group. Sign up your friends in this group and we'll guarantee that you are all placed on the same team together! Q: What is your Roster Size Policy? A: Each sport has a Minimum Team Size. The Team Size is the Minimum Number of roster spots that are required to be paid. For Some Leagues there is Team Pricing where the Roster Spots/Amount must be paid regardless of the Size of Roster (Please Check Each Individual League for This). Text Alerts (You can choose to opt-in or out of Text Alerts when signing up for a League). Game cancelations will depend on the severity of the weather and will be decided on a case-by-case basis. Q: Do I need a Full Team to Participate? A: No you do not. Unlike many other leagues, all you need is yourself. It's where we differ from many other Leagues. You can register to compete in most all our leagues and upon doing so we'll guarantee in finding you a team. If for some reason we can't, we would provide a refund or ask if you'd like to switch to another League. Q: Is it possible to have multiple people sign up as free agents, but guarantee that they are on the same team? A: It absolutely is! When signing up you'll just need to click the option to "Start Small Group." Everyone in your group will sign up as part of this group and we will guarantee that all of you are placed together on the same team. Again, another great feature that many other leagues do not offer! 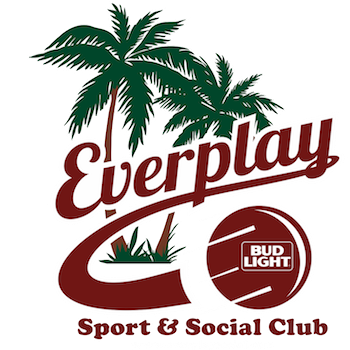 Q: What is Everplay's Pricing Structure? Individual Team Pricing – Our Most Popular Option. A Team Captain signs up the Team just paying for him or herself and each player on the Team is responsible for paying themselves through Team Links. This Option helps our awesome Team Captains not have to worry about collecting Money, which we know is a major hassle sometimes! Free Agents / Small Groups - Just select the Free Agent (if by yourself) or the Small Group (if with a friend or three) Options after clicking “Register “above. Head-to-Head. If the teams met during the regular season, the team with the better record versus the other wins. Head-to-Head can be voided if more than 2 Teams have the exact Same Record if the Teams all did not play one another. It shall be considered a Circular Tie with more than 2 Teams of the Same Record and then will move on to the next Tiebreaker below and so forth. A: Customers Do Not Receive Refunds. Players are required to agree to this Policy upon Registering. In the event that a league is canceled, and only if it is canceled, due to insufficient sign-ups, or for any other reason, customers will receive a complete refund of their registration fee.